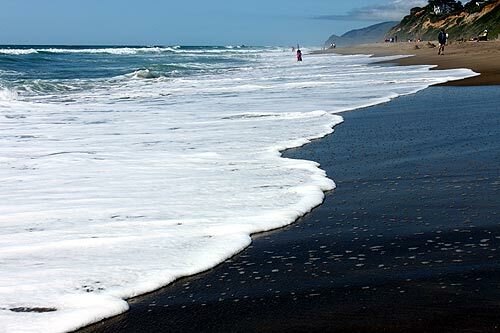 An enormous stretch of pristine sands at Lincoln City, the ghost forests of Neskowin, Cascade Head, and 100's photos and beach details of Taft, DeLake, Wecoma, Nelscott and more. 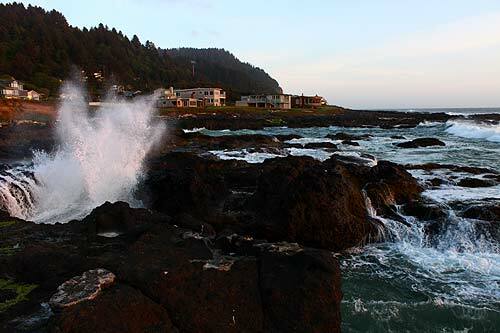 A spouting horn downtown, towering Cape Foulweather, soft sands of Gleneden Beach, enticing hidden cliff views and 100's of travel tips, photos of the Depoe Bay area. 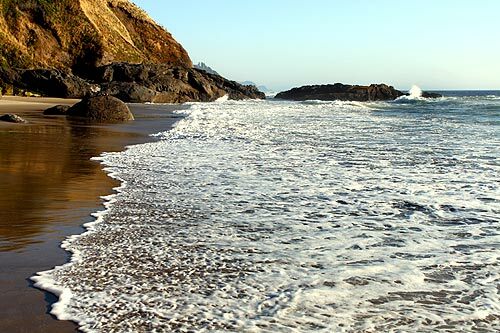 Miles of untouched sands, the historic Bayfront and Nye Beach, two lighthouses, rough and rugged scenery and cushy, upscale civilization - all in deep detail. 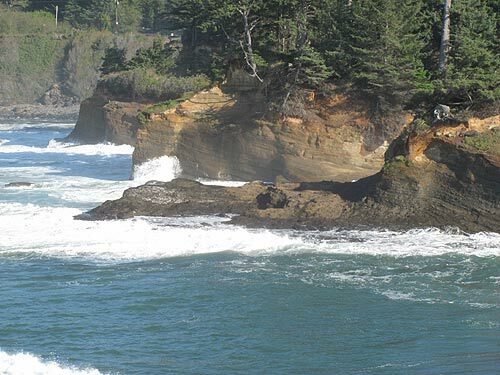 Sandy stretches of incredible beauty, the jagged basalt wonders of Seal Rocks, Waldport's bay and downtown, and bundles of lovely secrets. 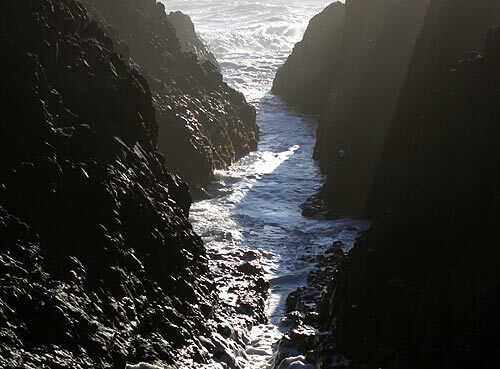 Where wild wave drama and craggy structures meet the many modern pleasures of Yachats, the 804 Trail, some spouting action - all deeply documented and detailed. 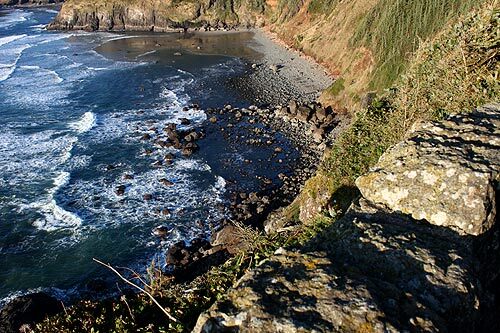 Some 25 miles of incredible (and often unpopulated) beaches and cliffside drives between Yachats and Florence, including Cape Perpetua, Cook's Chasm, Strawberry Hill, Bob Creek, Stonefield and bundles of secrets. 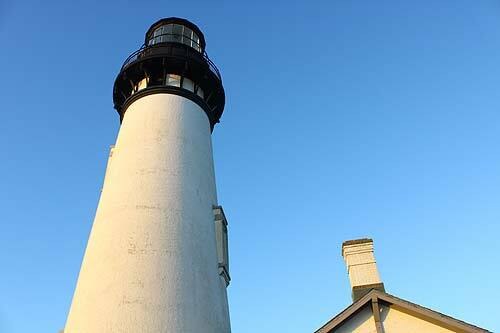 A stunninglighthouse, the stately bayfront and miles and miles of fluffy dunes - all around Florence.